Sydney, also known as “the harbour city”, offers glorious beaches, a laid-back lifestyle, exquisite dinning and exciting nightlife. The city is also home to the Sydney Opera House and the Sydney Harbour Bridge, two of the most iconic structures on this planet.The best times to visit Sydney are in late spring and early fall. – In which hotel to stay? What is the best value for money hotel in Sydney, that will help you be in the epicenter of all activities? We have put a lot of effort in this travel itinerary to make you feel like having your best friend in Sydney, showing you around to the best that the town can give you. Get this travel itinerary now, save time and money from organizing your trip but most importantly, enjoy this experience to its fullest! 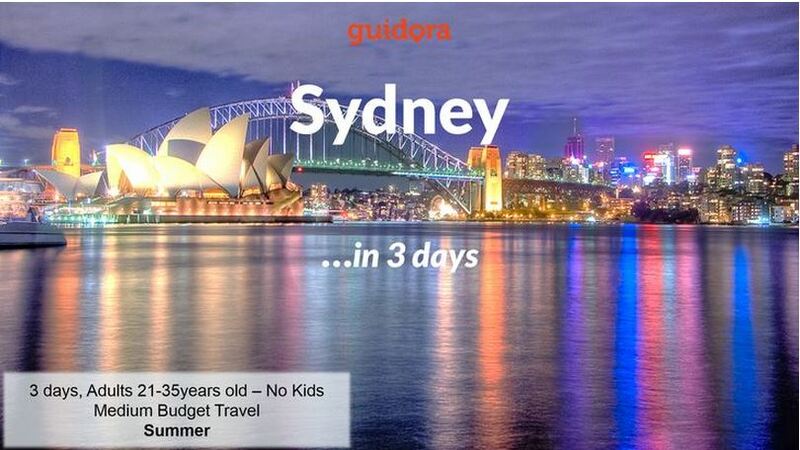 If you are heading to Sydney and would just need to see a couple of ideas on what you could experience, have a look at our blogpost on 10 Top Things to Do in Sydney in 3 days.